A Pesticide Properties DataBase entry classifies bronopol as a synthetic bactericide. It is first introduced in 1971 and registered in the U.S. years later in 1984. The chemical is used to control a wide array of bacteria, slime, and molds. A material data sheet published by the U.S. Environmental Protection Agency (EPA) categorizes bronopos in the Toxicity Category I for eye irritation and Toxicity Category II for skin irritation, which indicate very high toxicity. The data sheet has also cited various animal studies linking bronopos to increased mortality, stomach lesions and severe body weight loss in animal models. Likewise, the data sheet reveals that direct chemical exposure may result in increased in kidney, thyroid and adrenal weights and decreased liver weight. In addition, the compound is known to cause severe respiratory tract irritation. An entry featured on the open chemistry database Pub Chem has also revealed that the toxic compound may pollute water sources and impact aquatic flora and fauna. The hazardous chemical is known to affect various animal species such as fishes, invertebrates, and crustaceans. The poisonous substance is detrimental to aquatic plants, algae, and sediment-residing organisms as well. Likewise, bronopol is highly toxic to birds, mammals, and other beneficial organisms such as honeybees, arthropods, and earthworms. Bronopol is specifically toxic to the liver and the stomach. Likewise, the chemical negatively affects the kidneys, thyroids, and the adrenal glands. Direct chemical exposure may also compromise eye, skin and respiratory health. Bronopol is a key chemical component in many personal care products including cosmetics, toiletries, and skin care items. 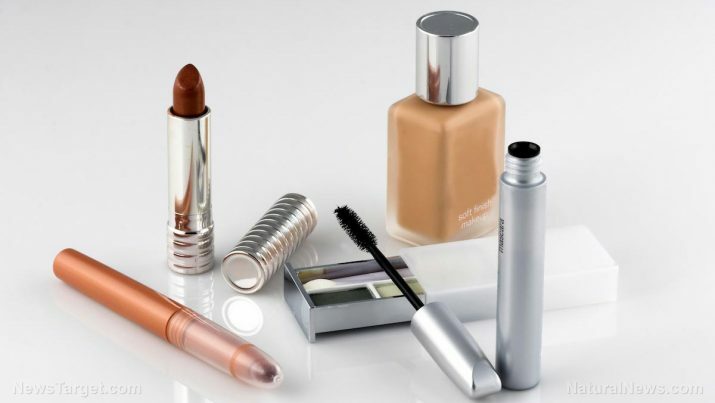 The chemical is commonly added to a wide array of liquid and powder products such as baby lotion, skin creams, and sunscreens as well as shampoos, eyeliners, blushes, and perfumes. Likewise, trace amounts of the chemical can be seen in deodorants, hair dyes, shaving creams, and face masks. Aside from these, bronopol is also present in liquid soaps, hair conditioners, and gels as well as bubble baths, baby wipes, and topical medicines. The chemical is added to detergents, dishwashing liquids, and cleaning agents too. The toxic compound can also be detected in trade name bactericides such as Onyxide 500, Bronotak, Brolly, and Bronocot. Bronopol is also a widely used bactericide in various industrial applications including oil field systems, air washer systems, air conditioning/humidifying systems and cooling water systems. The chemical is also traditionally used in paper mills, absorbent clay, metal working fluids, and printing inks as well as paints, adhesives, and other consumer products. Safety guidelines posted on the Smart Practice website recommends avoiding cosmetics and other personal care products labeled with bronopol in order to avoid direct chemical exposure. There is deadly formaldehyde in clothing, food, cigarettes and vaccines – what will you be wearing, eating, smoking and injecting today? Skin care expert reveals the 20 most toxic chemical ingredients in beauty products… are you poisoning yourself? Bronopol exposure results in increased mortality, stomach lesions and severe body weight loss. Bronopol contact leads to increased in kidney, thyroid and adrenal weights and reduced liver weight. Bronopol is known to cause severe irritation of the eyes, skin and the respiratory tract. Bronopol is particularly detrimental to the liver and the stomach. Bronopol negatively affects the kidneys, thyroids and adrenal glands. Bronopol may also compromise eye, skin and respiratory health.